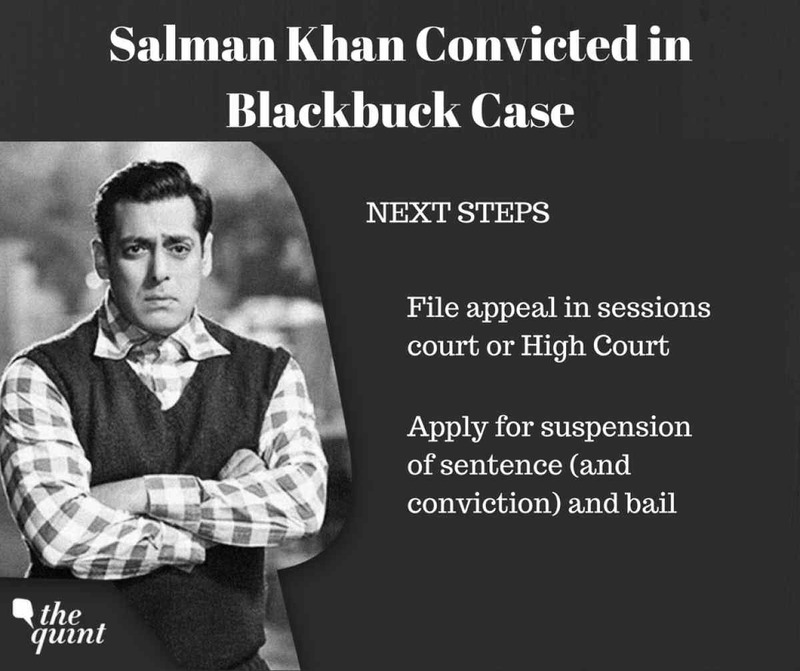 A Jodhpur court on Thursday sentenced Salman Khan to 5 year prison term in the 1998 blackbuck killing case. The actor has also been fined a penalty for Rs 10,000. He is being taken to Jodhpur Central Jail, where he will be spending the night. His bail plea hearing is scheduled for Friday morning. The actor is likely to appeal against the verdict in the Rajasthan High Court. Khan had earlier spent a total of 18 days in the Jodhpur jail in 1998, 2006 and 2007, all for cases of poaching. The ‘Dabangg’ star had a total of four cases against him related to the 1998 poaching incident. Three of these cases were to do with violations of the Wildlife (Protection) Act, while the fourth case, in which he was acquitted last year, was for an Arms Act violation. His ‘Hum Saath Saath Hain’ co-stars, Saif Ali Khan, Tabu, Sonali Bendre, Neelam, who were co-accused, have been acquitted in the case. A fifth person, Dushyant Singh, a local businessman from the area, has also been acquitted. The Bishnoi Sabha has decided to appeal against these acquittals. Chief Judicial Magistrate Dev Kumar Khatri, while pronouncing the verdict in the case, called the actor a ‘habitual offender’. 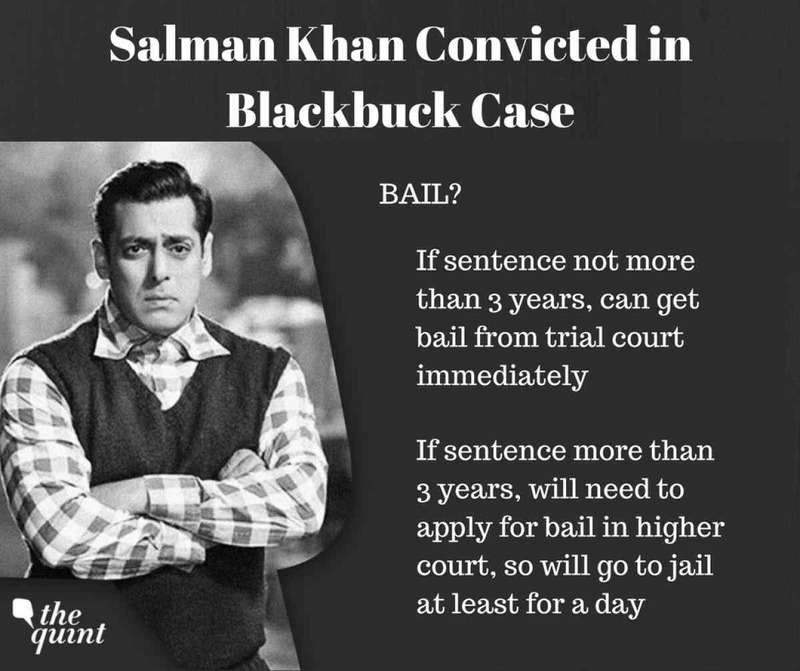 Judge Khatri ruled that hence the actor has been convicted, while the others have been given the benefit of the doubt. The actor’s lawyers had argued for probation and minimum sentence. The actor was facing charges under Section 51 of the Wildlife (Protection) Act. The other actors were charged under Section 51 read with Section 149 (unlawful assembly) of the Indian Penal Code.